I took my first ballet class at 4 years old. For the next 10 years of training I kept my eyes on the prize, taking my cues from the older girls, whose feet were callused and raw, who rarely smiled or spoke and held their bodies as if they were made of porcelain. All I wanted was to be one of those girls, and when it became clear I never would, I quit. Unfortunately, this is often how it goes with ballet. You either make it or you don’t. Your feet are either blessed with beautiful, high arches, or they’re an unfortunate pair of biscuits. But what if it’s not as inaccessible as it appears? What if you can learn ballet just to keep fit? Or even, crazy as it sounds, for fun? Turns out, plenty of people do. There were nine of us in Pregger’s beginner class at Spotlight on Dance last week. At least two women knew precisely what they were doing and had dressed the part, their black leotards layered with short wraparound sweaters and skirts. The rest of us were somewhat more disheveled, sending involuntary gasps — and looks that said, Holy crap, this is harder than I remembered! — rippling around the room after each combination. In the latter group was Martha McKenzie Akey, who’s in her late fifties and took her first ballet class this fall. “We introduced ourselves [at that first class] with all our different ailments,” she says with a chuckle. “I didn’t know what I was doing. I wasn’t even familiar with the terminology,” she says. “But I just fell in love with it.” It’s not surprising McKenzie Akey would turn to ballet eventually — she’s kept the books at Spotlight on Dance for the last 13 years. Her younger brother, Kevin McKenzie, is the artistic director of American Ballet Theatre (ABT) in New York. Carole Podesta, 51, who calls herself a “ballerina wannabe,” says she swears she moves around more gracefully since she started the beginner class last year. At her last physical, she says, her doctor found she was a half inch taller, too. That’s something you won’t get at the gym. What Siplon doesn’t mention is that those simple moves are brutal. After the first 10 minutes of my class at Spotlight on Dance, my legs were on fire. In the mirrors, I saw in disturbing detail how much my body had changed since the last time I’d thrown my leg up in a grand battement. “This must be done with apparent ease, the rest of the body remaining quiet,” reads the ballet dictionary on ABT’s website. My leg flew out with alarming force, rattling my whole body as it crashed to the floor. Thankfully, etherealness isn’t the top priority in adult ballet classes. At the Flynn, Elizabeth Brody starts the hour with pushups to strengthen her adult dancers’ arms and backs. During floor sequences, instead of having one group move across the floor while the other waits its turn, she aims for continuous movement. “Let’s keep going; let’s keep your heart rate up,” she says. 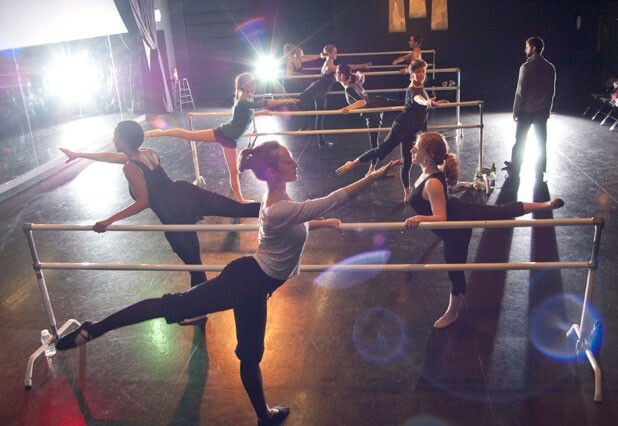 Pregger often points out to his adult students that the core strength and control they develop through ballet can help them in unlikely places. Say you’re hiking up a steep mountain, he says, and need to step on a rock crevice that isn’t deep enough to accommodate your foot. You have to turn your foot out to the side and push yourself up with it. “That’s very similar to how you’d go from a plié to a relevé,” Pregger says. Only a Vermonter would make such a connection — but it works for his students. Ballet is all about lengthening and strengthening muscles “in a way that the body is exactly designed to do,” Pregger adds. You get in trouble when you’re overreaching or overextending, but those problems are most common with ambitious young dancers pushing themselves to kick the highest or land the most consecutive pirouettes. That kind of ruthlessness just doesn’t exist in adult beginner classes. Well, not usually. I felt the old cutthroat side of me kick in as soon as I grabbed the barre. Which might explain why every single muscle in my body — from those between my toes to those beneath my shoulder blades to the sternomastoids in my neck — throbbed for days after the class. Still, it was worth it. I may not have looked ethereal, but when I closed my eyes for a few seconds during the final port de bras sequence, I certainly felt it.